It's been a busy week for Pixar-related articles and interviews! Here are a few of them. First, former Pixar story artist Matt Jones retweeted a post from The Independent that linked to an article showing how Pixar (along with Marvel and Lucasfilm) has helped propel Disney to the top of the box office, and how this success has translated to a growing business in merchandising and at their theme parks. The article also discusses the merger of Disney and Pixar and how Disney CEO Bob Iger won the trust of Ed Catmull. The next article was brought to my attention by John Huikku, and covered a speech Ed Catmull recently gave at Brigham Young University on breaking down the barriers that get in the way of creativity. If you've followed this blog for a while, you know I've been interested in Pixar's culture for a long time, so needless to say I loved this article. Sticking with Ed Catmull and creativity, Thought Economics published an interview with Catmull, director Nick Park and Distinguished Research Fellow in the English Department at Washington & Jefferson College Jonathan Gottschall. The interview goes into the secrets of creativity and the importance of storytelling. Last is an interview with Ronnie del Carmen that I found from Annie Alejo. 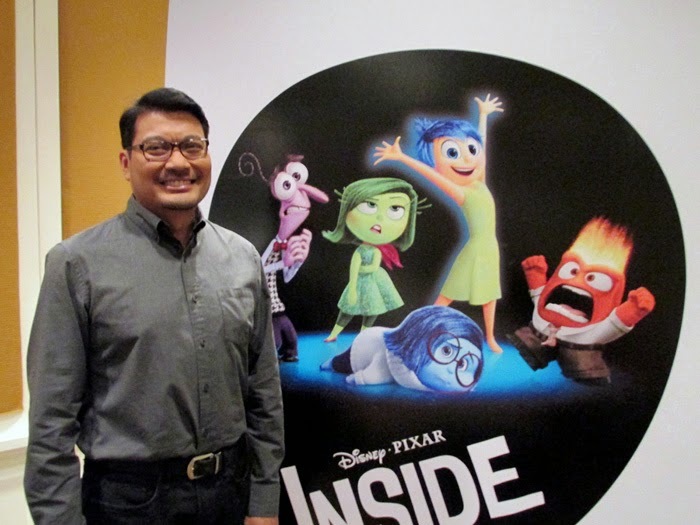 del Carmen was story supervisor on Finding Nemo and Up, and now is co-directing Inside Out. I'm a huge fan of Ronnie's personal projects, especially his books on Nina. Ronnie was born in the Philippines and this interview took place when he recently visited there. It's a very personal interview as del Carmen recounts how his father's business failed and they moved to the United States, and how he showed storyboard sequences from Up to his hospitalized dad. Ronnie's story is definitely one of perseverance! This is my second post in a series highlighting articles and interviews covering technology, animation or culture and featuring Pixar. To start, Steve Muench tweeted a link to a YouTube video with Pixar's Tony DeRose on how the studio uses math in the simulation of cloth and hair. You may remember this Numberphile interview with DeRose from last November; this new video contains extra material not used in that original video. 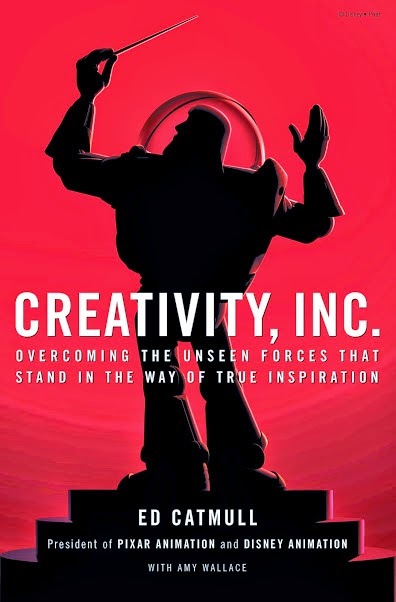 Second, Diego Rojas tweeted a link to a great Harvard Board Review article on the importance of organizing for innovation, and highlighting how successful Pixar has been in creating and maintaining their innovative culture. Next is an article on how Oculus is using virtual reality in an innovative, new way to tell films. Lost is the first short film from Oculus Story Studio, where ex-Pixarian Saschka Unseld is now Lead Creative Director. You'll remember Unseld as the director of Pixar's short film The Blue Umbrella. We've seen some very cool, new ways to tell films from ex-Pixarians, including Lost and Windy Day by Jan Pinkava, director of Geri's Game and co-director of Ratatouille. Finally, let's finish with an interview The Chronicle did with composer Michael Giacchino. While Giacchino doesn't discuss any of his Pixar scores (The Incredibles, Ratatouille, Up, Cars 2, and short films One Man Band, Lifted, La Luna and Toy Story of Terror), the article contains a couple of images of Michael with awards he won for the score to Up. I originally found this article due to a tweet from Michael's sister Maria. And speaking of Giacchino and Pixar, just last week Michael posted a couple of photos from one of his Inside Out scoring sessions with Pete Docter. Can June just hurry up and get here so we can finally see this movie? !